The one feature of our house that has caused the most angst is the roof, with HVAC coming in a close second. I haven’t even bothered to write about our HVAC debacle as it’s still ongoing, and distressing to think about. But the pain of roof choice has been a lingering one, stretching over 6 years. It started with the back addition. 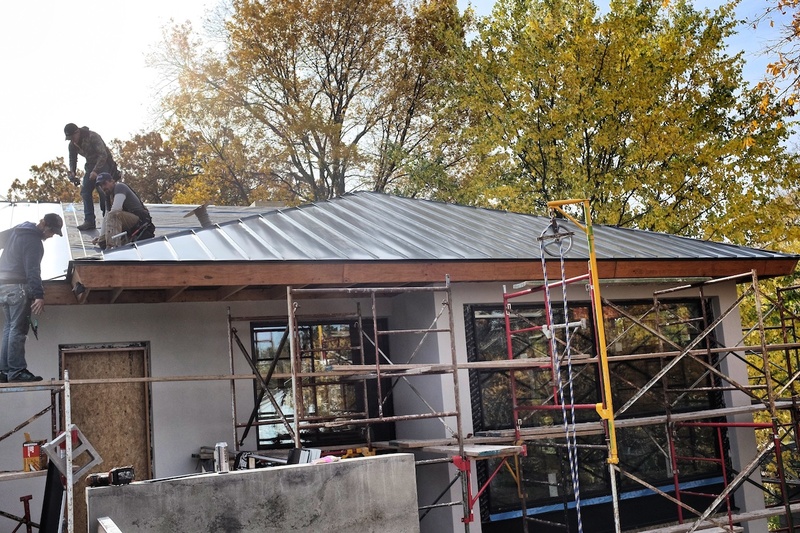 Ryan wanted a metal roof, but I rejected standing seam. 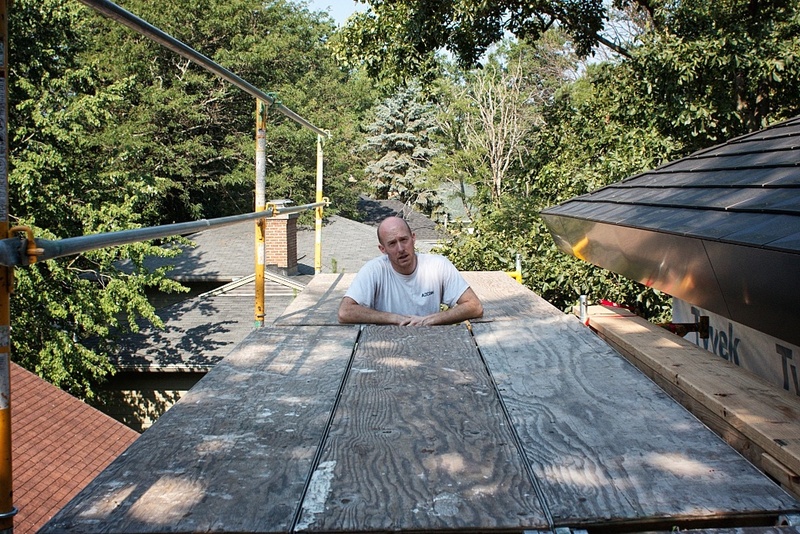 Ryan liked standing seam, but not asphalt shingles. So we compromised with metal shingles. 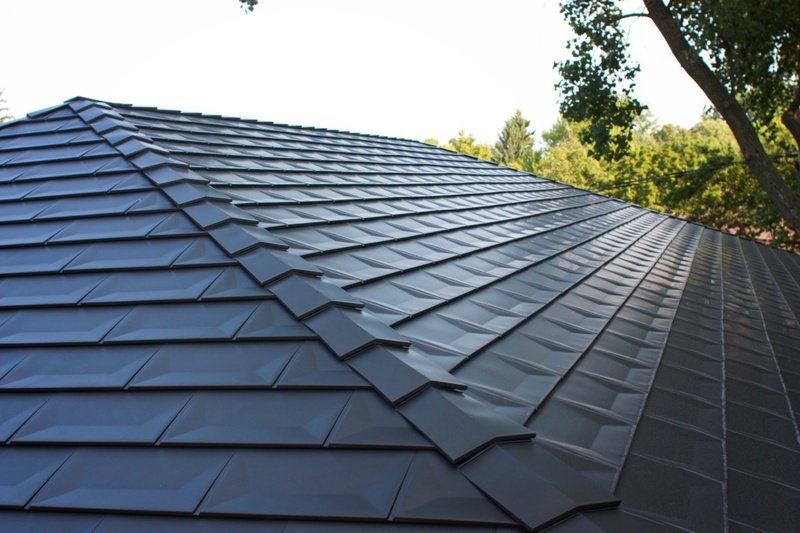 The world of metal shingles is incredibly expensive, insane really. 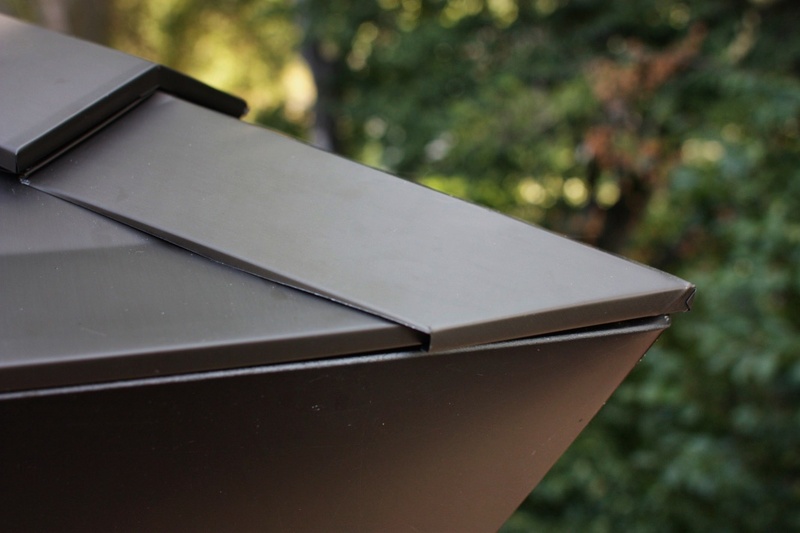 The options were painted steel or anodized aluminum. 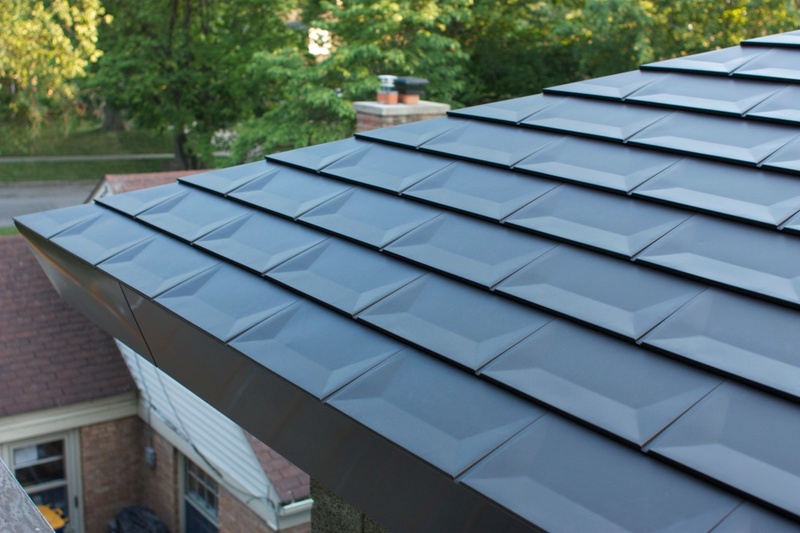 Though a long convoluted process, we ended out purchasing Zappone aluminum shingles and sending them to AACOA anodizing plant in Elkhart, Indiana to create bronze anodized shingles. When the shingles arrived, they were beautiful. However, one feature that no one at either Zappone or the anodizing plant mentioned, was that anodizing aluminum makes the metal stronger but also more brittle. 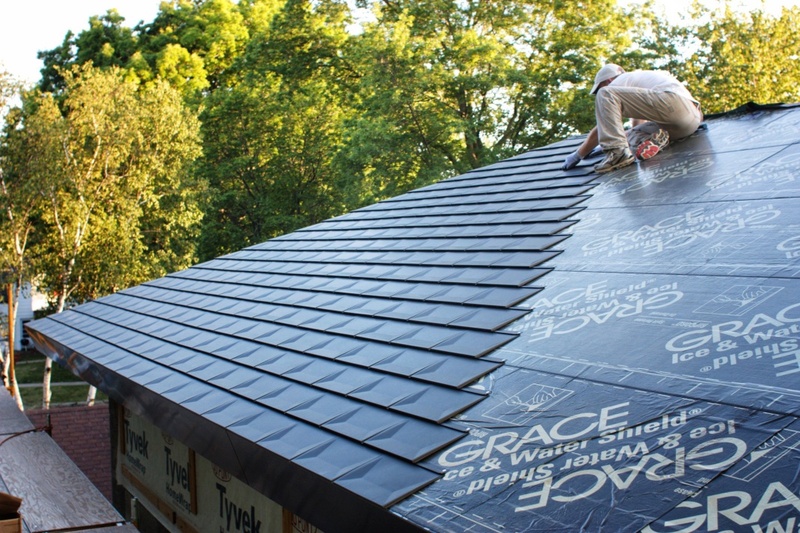 Any attempt to bend the ridge caps during installation would break the shingles in half. Stepping on a shingle during installation would crack it. So we sat there with $5,000 in virtually unusable shingles. Zappone didn’t care, and the anodizing plant didn’t care. Not a good time. In the end, with winter bearing down upon us, we re-ordered ridgecaps and pre-bent them before anodizing. Then Ryan bought a pair of grippy Vibram 5-fingers and went up to install the shingles himself. Every single shingle was hand nailed. Crazy. This was the point at which I just checked out and handed the decision over to Ryan. I really don’t like standing seam, metal shingles are impossible, and asphalt shingles would be surrender. So here we are, with standing seam in the front and shingles in the back. The irony that half the roof is my preference and half the roof is Ryan’s hasn’t escaped me. The roof has just started, so only a couple pictures. 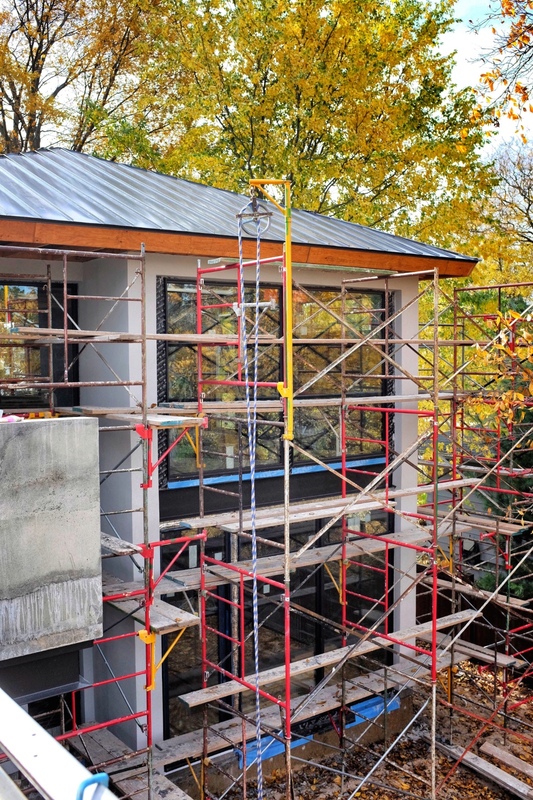 We’re using a custom painted 13 inch 24 gauge standing seam from Affordable Metal Roofing. Hopefully, it starts growing on me.